There is much that is good about Express Entry, the online application management system introduced by Citizenship and Immigration Canada in January 2015. Few can complain about the (so-far) expedited processing times and arguably even the program’s ability to scoop up the top, most qualified candidates. For all its glitches, Express Entry has helped modernize Canada’s previously broken first-come, first-serve paper-based system. However, in my opinion there is something very bad – and in my mind, very misguided from a policy perspective, about Express Entry’s point system. I am speaking about the system’s unqualified prejudice against older migrants from non-English speaking countries. I believe this has negative consequences on our Canadian cultural mosaic and may even carry unintended economic consequences. Express Entry’s point system awards to potential economic immigrants, allowing them to receive an Invitation to Apply (“ITA”) for Permanent Residence. In order to create a profile and enter the Express Entry applicant pool, applicants must first qualify for one of the three economic programs, the most popular of which are the Canadian Experience Class (“CEC”) and the Federal Skilled Worker (“FSW”) programs. Both programs have minimum language requirements in either English or French. For the CEC, the minimum language requirement depends on the classification of the skilled job for which the Applicant is claiming experience. For the FSW, performance on the required language tests above and beyond the minimum can increase one’s points towards their overall qualification for the program. For the most skilled positions under the CEC and for all FSW applicants, at least a “competent” level of English is required. Only the FSW program considers age as a factor, although it is not a baseline requirement. Applicants under the age of 18 or over the age of 47 are awarded 0 points out of 12. As the overall point system is out of 100, for which 67 points is a minimum requirement, age is not a determinative factor for eligibility. After meeting the basic requirements of one of eligible economic immigration programs, applicants are then scored according to the Express Entry’s Cumulative Ranking Score System (“CRS”). 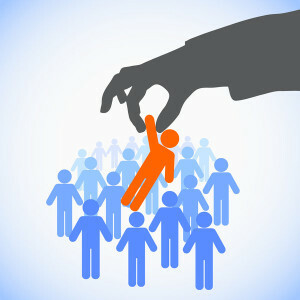 As 600 points of the maximum 1,200 points are allocated to having a valid job offer supported by a third-party employer either through a Labour Market Impact Assessment (“LMIA”) or a provincial nomination, a majority of potential applicants essentially compete within a 600-point system. As of the date of this article, a majority of the draws have been in the upper 400’s with several draws in the 500-700 point range. The lowest draw so far has been 450 points. For Language and Express Entry, the English “competent” candidate earns an average of 64 points, assuming equivalency among their reading, writing, speaking, and listening sills. 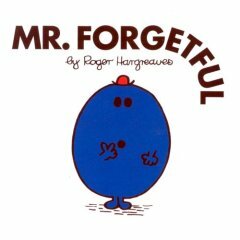 A candidate that is a “good” or “very good” user (keeping in mind that the later is a standard just below expert user/native speaker) is awarded an average of 116 points. In addition, these later candidates automatically increase their skill transferability (another important CRS factor) points adding anywhere from 16 to 50 points to their score depending on their education and work experience. It is therefore fair to say that applicants who are merely competent in English obtain 75 fewer CRS points then someone with greater (near native-speaking) competency. From an age perspective, the effect on CRS points is even more pronounced. Under the CRS, a 45-year old applicant loses 110 points compared to a 20-29 year old applicant. Even a 40-year old applicant, with a spouse who could be much younger loses 60 points. Consequentially, a competent English speaker (let us assume from a non-English speaking country) who is 40 years old, married with young children and who has a potential 25-year old working career in Canada loses 135 points right away. To put it in perspective, even if the applicant obtains maximum scores in every other category they could only obtain a maximum 465 points out of 600, just 15 points above the lowest drawn score in 2015. While the literature in this area is complex and varying in its results, it does suggest that Express Entry’s current policy on age and language is highly misguided. A recent August 2015 Statistics Canada/CIC report suggests that language is not effective as a long-term economic-earning indicator. This finding is not altogether surprising. In a 2012 article titled, “Language and Immigrant Labour Market Performance: What Does the Economics Literature Tell Us?” Canadian Economics Professor Mikal Skuterad asks whether it is reasonable to believe Canada can maintain current immigration levels and increase language criteria without sacrificing other desirable qualities of immigrants. In his piece, Professor Skuterad suggests that Canada’s emphasis on high language requirements may be too focused on short-term outcomes, and too neglectful of the importance of post-migration language training required via settlement services. In short, pre-migration language is an overemphasized indicator of economic success. I would argue that age, while a long-term indicator of economic success according to the August 2015 CIC report, is overemphasized as a factor in Express Entry. Importantly, it is out of touch with economic realities. Our most recent studies of the issue in 2011 showed that even in Canada, where welfare and social services are readily available, the age of mothers at first birth was increasing towards record pace. If we assume Canada is most desirable as a place of permanent residence for young families with the financial capacity to move and elementary/high-school aged children serving as a major impetus for the move, we should expect a high number of late thirties/early fourties applicants. Yet, this is the very group that Express Entry punishes through the prejudicial point system. Combined, I would argue that creating a point system those only benefits younger immigrants from English-speaking countries does not serve to maximize the social and cultural benefits of immigration. If anything, a program that discriminates against older, non-speaking applicants narrows our country’s definition of the ‘desirable immigrant’ and creates an unnecessary, disincentive for economic immigration. Furthermore, while I do not believe past studies have been done on this issue, I would argue that the economic and immigration mobility of the types of fluent, young immigrants Canada currently desires will lead many to eventually pursue opportunities as overseas ex-pats rather than as Canadian-resident taxpayers. There is some hope. The governing Liberals have promised it will be re-examine the point system and may allocate additional points to individuals with Canadian relatives. However, I don’t think that is enough. I think it is enough that a potential immigrant meets minimum language requirements. I also think the age of a potential immigrant’s spouse and children should be qualifying factors. The 45-year old father of three Canadian kids who will have a lifetime to pay it forward to the Canadian economy should not be perceived as too old for Canada. However, clearly some points are missing. Should students who studied in Canada receive more points under Express Entry? Should potential immigrants with current jobs held on other form of work permits receive more points? Arguably so. Should the economic immigrant who has started his or her own business or invested in the business of his or her son or daughter receive some points? Should an economic applicant who has a spousal sponsorship application in process receive additional points to facilitate their own immigration process? I would think that all the above would make sense. Why is Express Entry So Tough on International Students? A common theme of many of my recent consultations has been the challenge many international students are experiencing as a result of Express Entry. I am finding more and more second and third-year international students asking me about best practices in planning their paths to permanent residency. First, just to meet the basic requirement of either the Canadian Experience Class or the Federal Skilled Worker a year of skilled experience (at a NOC 0, A, B level) is required. For the Canadian Experience Class (CEC), that work experience must consist of one year obtained within the past three years and cannot include work experience obtained while on a study permit (e.g. as a co-op student or during scheduled breaks). It also excludes time working as a contractor, an economic model growing increasingly popular for its Canadian tax-benefits to employers during the economic crisis. For newly graduated international students, who can be granted no more than three-year post-graduate work permits, obtaining that one-year of skilled work experience can be a tall order. Third, Labour Market Impact Assessments (LMIA) for newly-minted international graduates are difficult to obtain. Holding a valid LMIA for a skilled position awards an Express Entry applicant 600 points and, as of this current date, guarantees them an invitation to apply for permanent residency. Many individuals after the expiry of a three-year work permit find that they require to obtain LMIAs in order to get a work permit that will allow them to work beyond their PGWP. 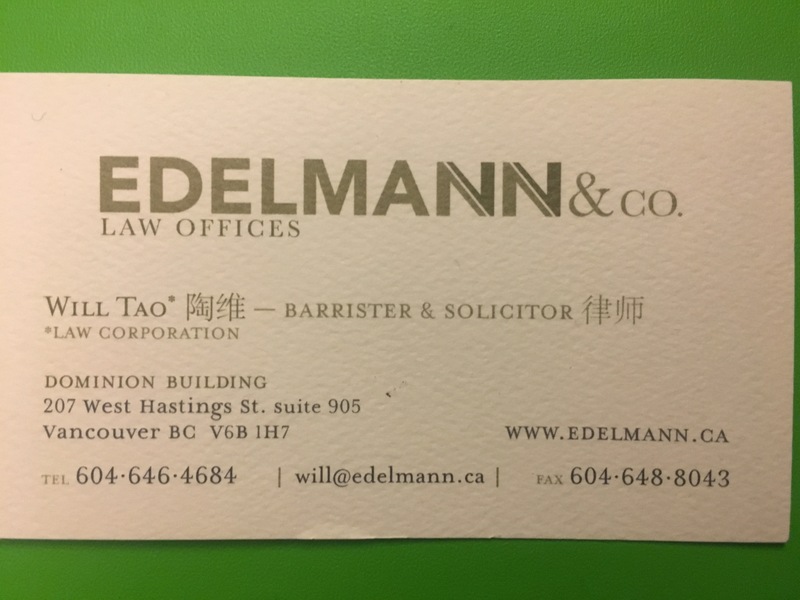 Unfortunately for them, in most circumstances employers will have to advertise the position to demonstrate that another Canadian cannot fill an international student’s shoes and do not possess equivalent qualifications. In this difficult job market, most non-managerial skilled positions will attract multiple candidates, many of whom are equally, if not, more qualified than the Canadian. Unless the candidate has a unique profile (that can’t include a third language in most cases, as a third language cannot be a job requirement unless it is mandatory for the position), it will be difficult to prove. In British Columbia, the BC Provincial Nomination Program Express Entry category, requires that an applicant have several years of related experience in the occupation. More recently, the BC PNP has come down more firmly on the requirement that several years is equivalent to at least two years. The challenge here is most International Graduates are given maximum three-year work permits. This essentially requires them to have two years of skilled experience in that particular NOC occupation. International students who start in entry level, low-skilled positions, such as bank tellers and customer service representatives will find this very difficult to achieve. Unfortunately for international students, many of those looking for permanent residency two years into their post-graduate work permit will be limited to skilled worker categories. Individuals should begin planning their educational and work paths right away. For example provincial nomination programs designed for international graduates become have become more important in today’s Express Entry environment. Here in British Columbia, the International Graduates Program (as of the date of this piece) is currently available only through Express Entry. Importantly, eligibility for this program requires applying within two-years of graduation. 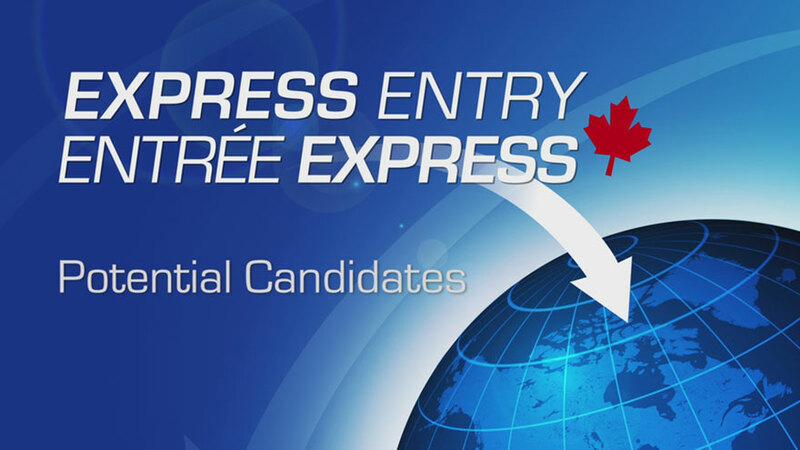 While having to meet Express Entry requirements is a challenge, as described earlier, the 600 points provided by the nomination would counteract the low score issues. Finally, the idea of pursuing further graduate studies prior to obtaining a PGWP may be more attractive. Further studies allow an individual to gain a key qualification that may differentiate them if a LMIA is required. It also may open up other options including post-graduate immigration streams, fellowships, and various professional positions under trade agreements, that could provide the crucial work permit required to get the necessary skilled work experience. On June 12, 2015, Canada’s National Defence Minister Julio Fantino on behalf of Canada’s immigration minister, Chris Alexander announced the creation of a new Italian-language resource to help promote Italian immigration to Canada via Canada’s online processing system for economic immigration, Express Entry. The news release can be found here. I think that recognition by the Federal Government of the imbalance of immigration from certain parts of the world is a good thing. More Italian immigrants to Canada, where many of our top politicians, athletes, and businesspeople have Italian roots is also a fundamentally good thing. I also think providing resources in languages outside of Canada’s two national languages is fundamental and crucial to attracting top-class immigrants. Before an applicant goes off to taking language exams in one of the two languages, they often times (and many years prior to actually landing in Canada) have to decide to begin the very process of pursuing permanent residence. Without access to resources in the native language of Applicants, it is ripe for individuals who purport to know what they are doing (ghost consultants and the like) to provide immigration services. Many of these services are substandard and ultimately illegally performed. My major qualm with the Federal Government’s launch of an Express Entry Italian page is that I believe it is not good optics to have resources available in one language and not other languages. With something like the Express Entry Italian page I understand that it is not as simple as creating a page and paying interpreters to translate the resource into many languages. There are discussions that need to be had with consulates, even with domestic governments who do (particularly in the case of China, the country I am now in) the type of web resources available on sensitive issues such as immigration. However, to provide a page in Italian that is not correspondingly available in Arabic, in Farsi, in Hindu, or in Mandarin suggests Canada is aiming its resources at immigrants from select countries rather than the most economically and socially desirable immigrants from around the world. Optically, I hope many more third-language resources are made available to explain an Express Entry system that frankly is counterintuitive and confusing for many overseas applicants. In December 2014, my colleague Steve Meurrens predicted that the introduction of Express Entry would have a devastating effect on the ability of international students to obtain Permanent Resident status in Canada (see: http://canadianimmigrant.ca/slider/are-options-for-international-students-to-immigrate-permanently-narrowing). It seems like Steve’s epiphanies have come true. Just this past month I have received no less than 5 inquiries from individuals on the last year of Post-Graduate Work Permits (PGWP) asking about how they can obtain Permanent Resident status. The challenges are quite clear. Time spent working on PGWPs, while earning some Canadian experience points, do not earn any extra points that appear necessary to obtain an Invitation to Apply. Individuals with PGWPs will have to not only meet the requirements of the Canadian Experience Class or Federal Skilled Worker Programs (at least 1 year of NOC 0, A, B experience), but also likely need either a Provincial Nomination or a Labour Market Impact Assessment. The Labour Market Impact Assessment, which used to allow for advertising breaks for Employers hiring PGWP holders, now requires a $1000 application fee in addition to the 1 in 4 likelihood of a compliance review. Such burdens are heavy for Canadian employers to bare, particularly when the international graduate is likely entering only a mid-level NOC B position. Furthermore, the advertising exemptions have been removed and Canadian Employers must demonstrate that the PGWP holder is more suitable than Canadian candidates who have many more years of relevant experience and often times higher educational credentials. It is also hard, to make a business case, to pay someone with little experience a prevailing wage that reflects a skilled labour market generally with more experience and demanding hire wages. One of the biggest problems facing PGWP holders is actually on the front end. Many recent graduates are unable to obtain positions right out of university that are NOC 0, A, B. Many start in NOC C, D positions (often unaware) that there is a requirement to obtain a promotion in order to qualify for Express Entry. Couple this with the fact that options for Entry-Level/Semi-Skilled (EE/SS) workers to obtain Permanent Residence (at least in B.C.) is limited to the currently-closed B.C. Provincial Nomination Program for EE/SS workers. One of the challenges is that many employees are hesitant to get into the conversation with their employers about their immigration status for fear of job security and other issues. However, this conversation needs to happen and ideally happen at the front end. Unless, it is in an Applicant’s plan to return to their home country following work on a PGWP, continue further studies, or pursue another guaranteed NOC 0, A,B vacancy within two years, not discussing immigration status with an employer can be disastrous. Currently, Canada’s economic immigration programs are all employer driven. If you are to obtain permanent residence in the future an Employer needs to be there to support you – write you a confirmation of employment, make recruitment efforts, provide your paystubs and their own tax/corporate information. Most importantly, they have to put their neck on the line in representations to Citizenship and Immigration Canada (CIC) and Employment and Social Development Canada (ESDC). Your pathway to permanent residence starts on Day 1. Your employment contract or at the very least, your unofficial understanding with the employer needs to involve your ability to be promoted to a NOC 0, A, B position so you can get at least 1 year of skilled-work experience. You can check the skill level of your position using the NOC matrix available online. Note that the BC PNP uses the 2011 NOC Matrix (here), which ESDC uses the 2006 NOC Matrix (here) Make sure, however, to obtain proper advice as to the wording of your job duties. Several positions, particularly those designated by Canadian employers who are unfamiliar with the NOC or your requirements to have skilled employment, may inadvertently hire you to a purported “skilled position,” while giving you job duties more akin to a lower-skilled worker. For example, one may assume that an administrative assistant (http://www5.hrsdc.gc.ca/NOC/English/NOC/2011/Profile.aspx?val=1&val1=1241) and an office support worker (http://www5.hrsdc.gc.ca/NOC/English/NOC/2011/ProfileQuickSearch.aspx?val=1&val1=1411) would both be considered under the same NOC Code given the similar nature of their duties, but an administrative assistant is a NOC B position (thus qualifying for Express Entry) while an Office Support Worker isn’t (NOC C low skilled position). It is furthermore important to broach your Canadian employer because of the number of hybrid positions that are subject to classification under lower NOCs by ESDC. A great example of this is in the banking industry where a Customer Service Representative is a NOC C position (http://www23.statcan.gc.ca/imdb/p3VD.pl?Function=getVD&TVD=122372&CVD=122376&CPV=6551&CST=01012011&CLV=4&MLV=4) but a Financial Service Representation is a NOC B position (http://www5.hrsdc.gc.ca/NOC/English/NOC/2011/Profile.aspx?val=6&val1=6235). There is arguably a ton of overlap between the two positions and a ton of Customer Service Representatives I know who are gaining in seniority begin to take on some of the responsibilities of Financial Service Representatives. Complicating things, I know some banks call their Customer Service Representatives, Financial Service Representatives. Another complicated matter are individuals who take on hybrid Account Manager (NOC B) and CSR (NOC C) roles. For immigration purposes, these type of positions will be under heavy scrutiny. Until the non-Express Entry British Columbia – International Graduates Program is announced in the beginning of July, the Express Entry version is a very good option for applicants (http://www.welcomebc.ca/Immigrate/About-the-BC-PNP/Express-Entry-British-Columbia/Express-Entry-British-Columbia-International-Gradu.aspx). Again, one of the challenges is the Applicant has to meet the basic requirements for one of three economic programs – which will require one year of NOC 0, A, B, either prior to coming to Canada and while holding a PGWP. As the International Graduates program requires you to apply within two years of completing your education program, this essentially gives you a two year window to get the requisite experience (assuming you don’t have it). The International Graduates program is nice because there is no need for previous experience. The Applicant must only demonstrate that they have the means to support yourself and your dependents. For the Skilled Worker program, there is the requirement of several years of work experience, which is usually assumed to be two or more, creating a major time crunch for transitioning from a PGWP. Regardless, it is important to keep up with the rapidly changing PNP program offerings. For example, on July 1st the BC PNP is reopening several programs, which I forsee may create more options for graduates of particular programs in professions that B.C. views in high demand (possibly LNG, Tech, and Medical fields). I hope this article provided some insight into the challenges. As always contact me if you have any questions! 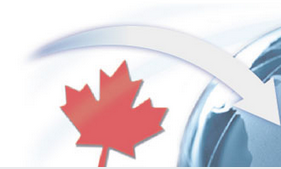 Citizenship and Immigration Canada (CIC) has made several technical amendments which came in force May 30, 2015. These amendments are a welcome clarification and should assist those applicants with several years of Canadian work experience. Ultimately, it may give several applicants a big Comprehensive Ranking System (CRS) Score point boost! Notice: A technical amendment has been made to sections 15, 19 and 25 of the Ministerial Instructions for the Express Entry Application Management System. Paragraphs 15(3)(b) and 19(4)(b) were modified to remove the requirement that Canadian work experience be continuous for determining points under the Comprehensive Ranking System for the candidate, spouse or common-law partner. These Instructions come into force on May 30, 2015. Note: As of May 30, 2015, all valid Canadian work experience will be recognized under the Comprehensive Ranking System (CRS) of Express Entry as CIC is removing the requirement that Canadian work experience be continuous. As a result, foreign nationals with Canadian work experience could see an increase in their CRS points. You can see a specific effort by CIC to address the challenges particularly faced by the increasing number of contractors (explaining the change in definition from employment to work) as several were negatively impacted by the continuous work experience. If I am not mistaken, the challenge with continuous work got to the point where program officers at the latest CBA National Immigration Law Conference in Ottawa were recommending that Counsel fill in the gaps of employment (much in the way we do 10 year work history attachments) with explanations. Again, whether this is acceptable practice is not readily clear from the way the electronic form is formatted. are still front end requirements to qualify for Express Entry and are not affected by these technical amendments.